Taijiquan Shuai Jiao (Tai Chi Wrestling) is a vital part of your Taiji practice. Dozens of applications are taught for the movements within Push Hands or the Taijiquan form. Wrestling, or Shuai Jiao, is one of the oldest forms of Chinese martial arts, which developed into a complete system within itself over thousands of years. Wrestling is also one of the main components of traditional taijiquan (tai chi chuan) martial arts training. 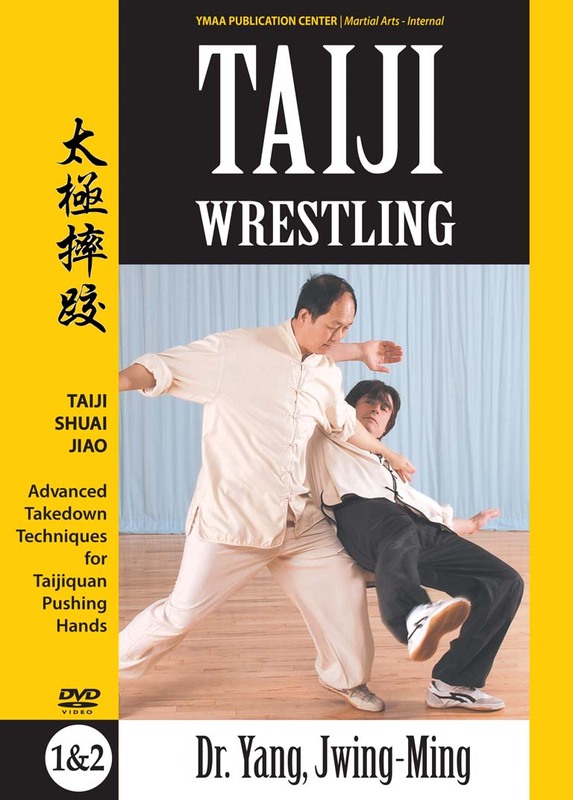 Taiji Shuai Jiao teaches the skills of destroying an opponent's root and balance, and various takedowns. Experience a private lesson with one of the world's foremost masters of Chinese martial arts, as Dr. Yang, Jwing-Ming instructs Taiji Wrestling applications that can be found within all styles of Taiji, utilizing leg sweeping, tripping, bumping, throwing, and many other techniques. Course 2 focuses on applying Shuai Jiao techniques found in Parallel Pushing Hands, in which opponents face each other with opposite hands: right hand to left hand, and left hand to right hand.